Artisan craft popcorn made fresh daily with the finest ingredients available. 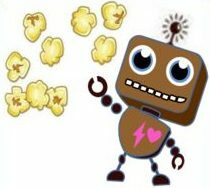 Light and fluffy popcorn popped only in white coconut oil using all natural whole food ingredients. 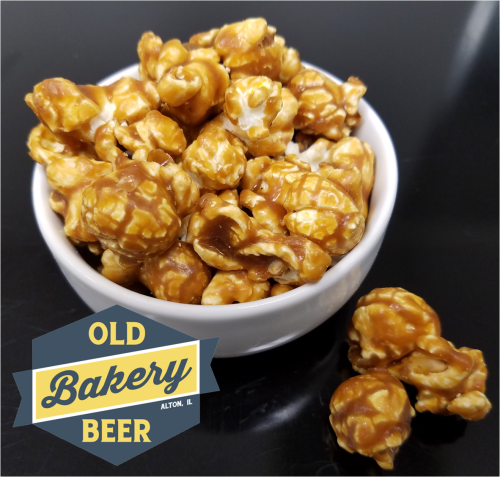 Caramelized with Old Bakery Beer Co. Organic Porter beer, real butter, and real cane sugar. Other gourmet ingredients include real vanilla and fine chocolates. 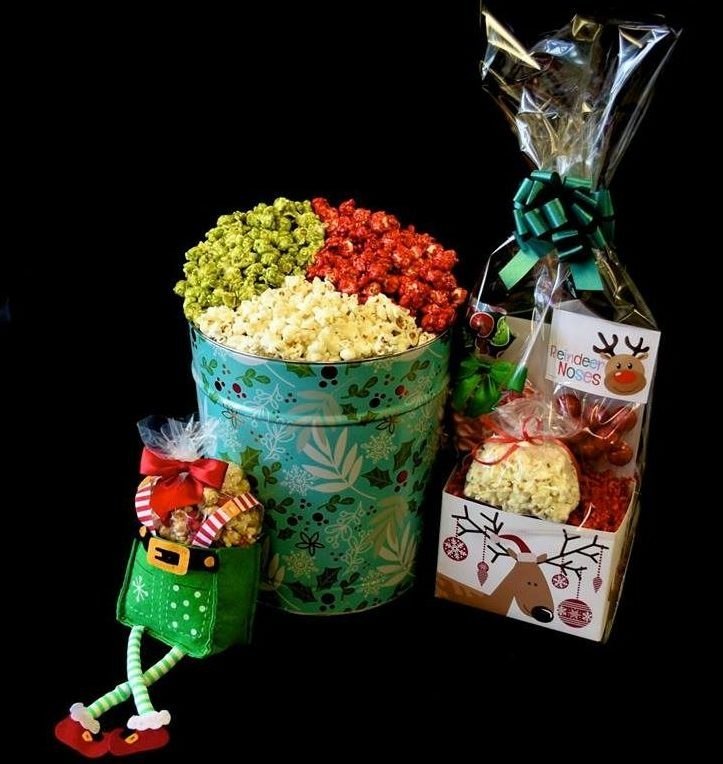 Our tins, gift baskets, and jumbo bags are the perfect choice for Corporate Events and Gifts, Holidays, Weddings, Parties, and any occasion. Order Here! Simple and Secure Checkout! 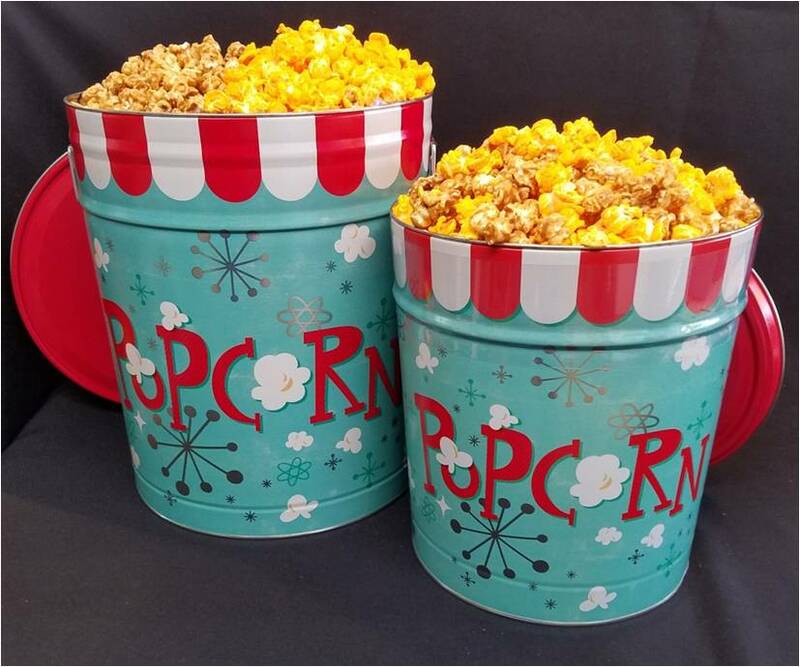 Visit our new store at Alton Square Mall for more popcorn flavors and sizes. Also Creamy Fudge, Glazed Nuts, Bulk Candy, Fine Chocolate and bottled Soft Drinks.